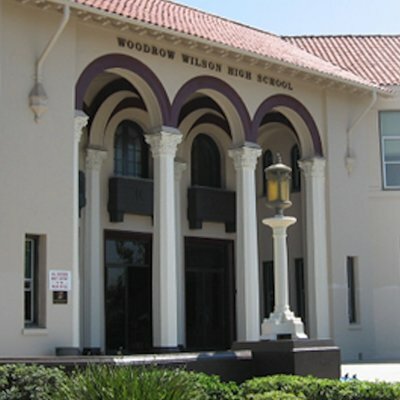 A 16-year-old junior at Wilson High School was arrested Thursday afternoon for allegedly making threats to harm others, according to the Long Beach Police Department. Police responded to the campus at 2:30PM to help a Long Beach Board of Education public safety officer who had detained the student after they were overheard making threats, authorities said. Officials said that information was then reported to staff and responding officers arrested the teen for making criminal threats. The incident follows that of a similar threat made earlier Thursday by a 15-year-old freshman at Millikan High School. In that incident, classmates overheard the student make the threat and informed staff who then notified an officer. The student was arrested for making criminal threats. An unsubstantiated threat of a shooting at a “Poly” high school was also reported to police Wednesday at 9:15PM, according to authorities. Detectives investigated the threat through the night and ramped up security on campus the next day but a preliminary investigation found no credible threat to Poly High School, officials said. The threats made at the three different high schools took place over a span of two days, officials said. In each case, authorities said they conducted numerous interviews of potential witnesses, viewed social media accounts and conducted searches. The threats are similar in nature to threats that have occurred regionally and nationally throughout the past week, officials said, and comes on the heels of a mass shooting at a Florida School on Valentine’s Day that left 17 people dead. Students, parents and school staff are encouraged to immediately report any information that poses a threat to safety, authorities said, adding that they continue to be in communication with the Long Beach Unified School District and local, regional and federal law enforcement partners to ensure safety. The public is asked to follow the protocol of “See Something, Say Something” when witnessing or hearing suspicious activity. Anyone with information regarding a threat to a school is asked to call the Police Department immediately by dialing 9-1-1, or (562) 435-6711 for a non-emergency. Anyone who has information regarding the recent threats is urged to call Violent Crimes Detectives at (562) 570-7250. Anonymous tips may be submitted through “LA Crime Stoppers” by calling 1-800-222-TIPS (8477).